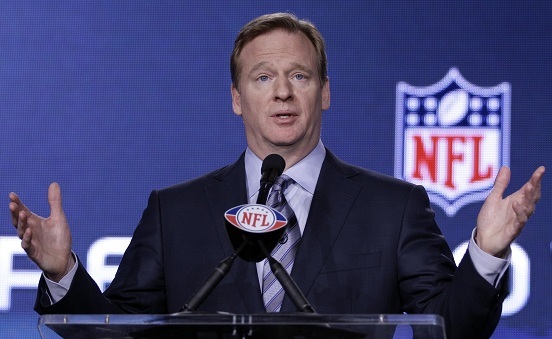 Don't ask the National Football League, because despite its overwhelming popularity as compared to the other three major sports in America, Roger Goodell and his band of money-grubbing owners are once again looking for ways to pad the league's collective wallets. This time, by expanding the playoff field. While postseason expansion is a better idea than expanding the regular season to 18 games, why does the NFL feel that they have to do either? Adding more teams will only diminish the playoffs. Shouldn't it actually mean something to qualify for the postseason? Does the league really want multiple .500 clubs (or worse) still playing once January rolls around? Had this proposed format been used a season ago, we would have added the Titans, Cardinals, Chargers, and Bears to the playoff mix. The Titans were the only team of the four to finish with a winning record. The presence of those teams would not have made for a better postseason, but it certainly would have made for a more lucrative one. The only logical reason the NFL would even entertain such an idea is money. It sure as hell isn't being considered because of the spirit of inclusiveness, or to make more teams feel like winners. No, it's because the league wants to milk even more cash out of the system, regardless if it creates pro football's versions of the San Diego County Credit Union Poinsettia Bowl, or the Beef 'O' Brady's Bowl come playoff time. The bottom line is, expanding the amount of postseason teams might bring in a few more dollars, but it would be bad for the game in general. The commish constantly preaches about "protecting the image of the shield," so that should certainly include the product on the field. Anyone else remember how the whole replacement officials thing reflected on the league? Here's all you need to know as far as postseason expansion goes. If the playoffs were to start today, the No. 8 seed in the AFC would be the New York Jets. Money-grab or not, case closed. Completely agree with your take on it, but you know it will eventually happen. Just like teams over seas. Its all about the money.